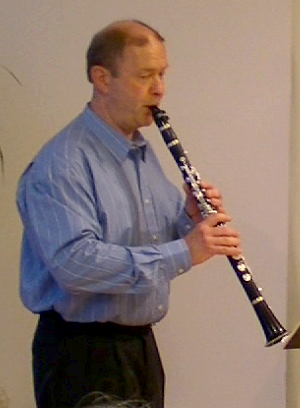 Diethard Stecher , clarinet, was born in Jena, Germany and was given clarinet lessons as a child. He soon decided to become a profesionnal musician. He has a degree in music pedagogy from the music academy Franz Liszt in Weimar. In 1990 he founded and currently is director of a music school in Holzkirchen, Germany. He also directs the Saxophonquartett „Quadro Magico“.